Le Vision Picture’s upcoming romantic comedy film Suddenly Seventeen <28岁未成年> quietly began production last week. The film, which stars popular artists Ni Ni (倪妮) and Wallace Huo (霍建华), gave fans their first look of the movie through character stills released earlier this week. The photos feature main stars Ni Ni and Wallace Huo facing off in a tennis court. 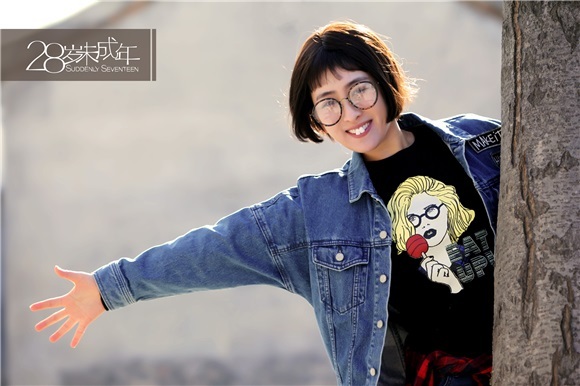 Another set of photos feature supporting actress Ma Su (马苏), as well as guest star Darren Wang (王大陆), who plays Ni Ni’s first love. 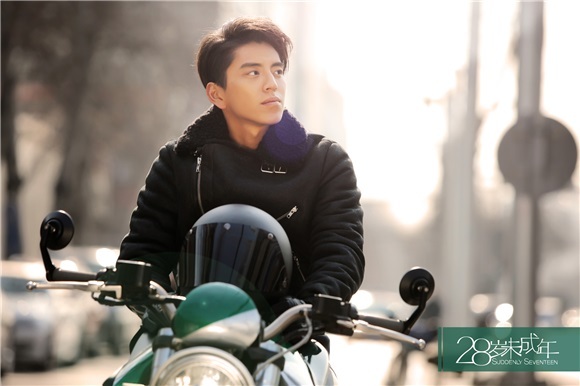 Suddenly Seventeen is the Taiwanese actor’s first Mainland Chinese film. The movie stars Ni Ni and Wallace Huo as an engaged couple preparing for their upcoming marriage. The bride’s obsession for a perfect wedding puts a strain in their relationship and, unable to withstand her demands, the groom ultimately calls it quits and breaks up with her. In a heartbroken state, she carelessly ingests a magical item, which transports the 28-year-old’s mind back to when she was only seventeen years old. Then, she revisits her past and learns what it takes to love herself again. Suddenly Seventeen is adapted from the 2011 novel 28-Year-Old Minor, written by Black F. The movie, the directorial debut of Zhang Mo (张末), will be aiming for a summer 2016 release.